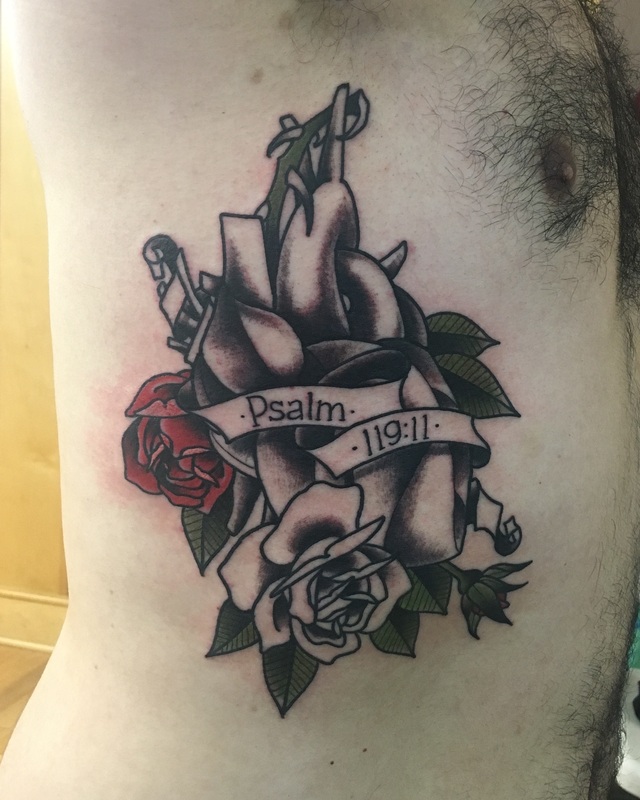 May I Dine In Valhalla by Daniel Santiesteban at Dovetail Tattoo in Austin, TX. valknut. My first tattoo. Squirrellys Skin Art. 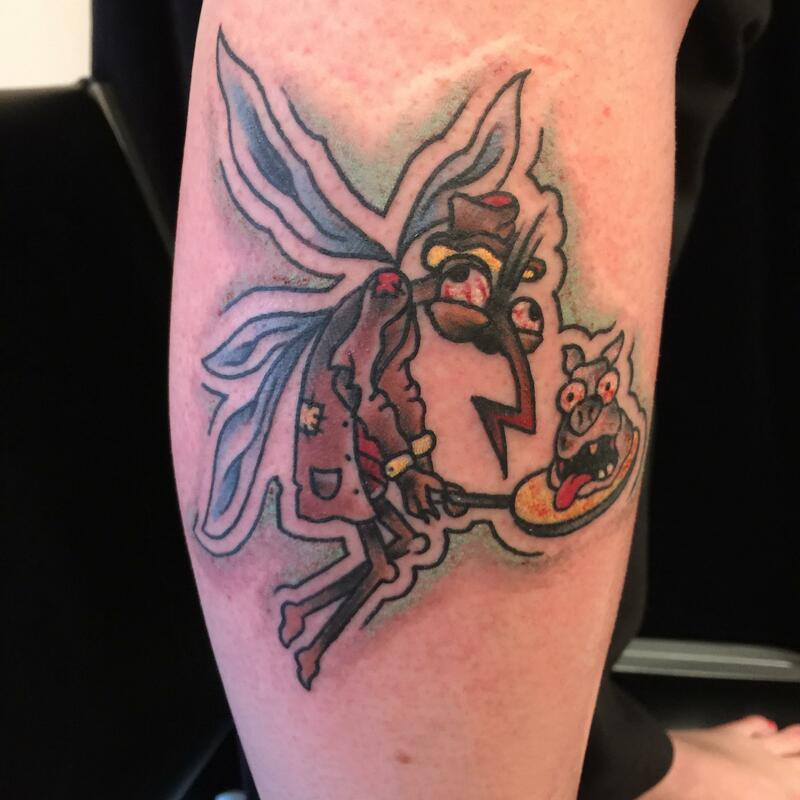 (Youngstown Ohio) my artist was the owner Squirrelly! My rib piece got started this weekend by Blake Brand at State of Grace Tattoo in San Jose. I wanted an American tradition style heart, banner and roses. That’s all I could take after just over 3 hours.